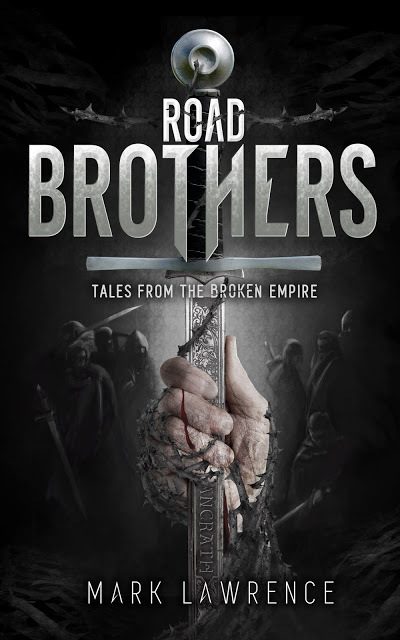 Just found out that Mark Lawrence released a collection of short fiction titled Road Brothers: Tales from the Broken Empire yesterday! I wasn't even aware that this collection was on its way, so I'm quite happy! 10 short stories from the lives of Jorg and his Road Brothers. Contains spoilers for the Broken Empire trilogy. 5 of the stories have previously been published in anthologies. Contains the short story 'Sleeping Beauty' that is also sold separately. A total of 43.000 words or just over half the length of Prince of Thorns. You can download it through these links: Canada, USA, Europe.